This topic contains 1 reply, has 2 voices, and was last updated by Front Rudder 2 years, 1 month ago. I received a phone call 2/5/17 while we were waiting for the Super Bowl to come on from a very excited member. Jeremy Nett was letting me know that he weighed in a huge mackinaw at Gary MacDonald’s Hudson Bay Resort today. I have not seen a picture yet but I would say it definitely sounds huge. 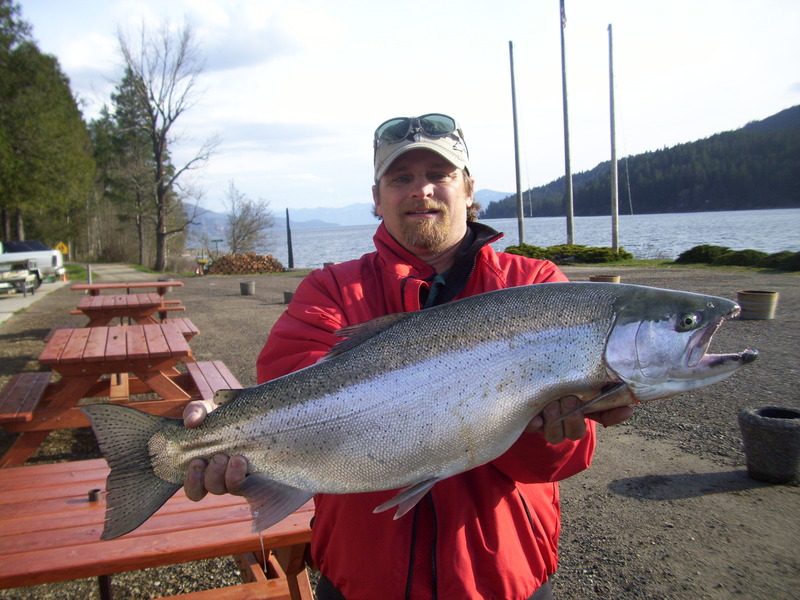 His fish weighed in at 25.34# 39″ long!! Way to go Jeremy!! Patch Fish!! Can’t wait to see a picture of your fish. I’m sure Clint will want to get it on Facebook. Great Fishing on LPO!! Jeremy Nett’s 25 pounder easily did it! Now leading Mack of the Year too!